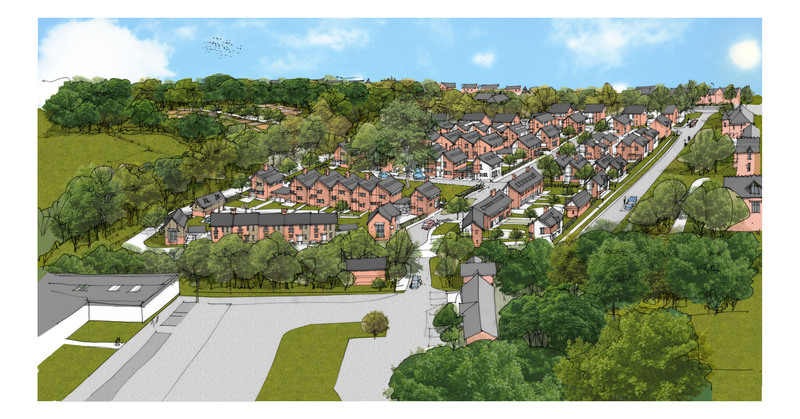 We were appointed by CEMEX UK Property Ltd to master plan the land which they wished to dispose of on the fringe of Bishopstoke village, near Eastleigh. 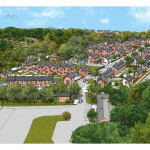 The master plan was to accompany an outline planning application and proposed 85 mixed-tenure dwellings as well as 1.2 hectares of land for allotments. The proposal responded to a local plan policy but aimed to modify the policy by relocating the allotments to adjoining land also owned by the client. Working closely with planning consultants Deloitte, engineers WSP and landscape architects CSA Environmental, amongst others, the scheme was the subject of intensive public consultation and scrutiny, before finally approved unanimously in 2013. An indicative layout was provided for the allotments and a detailed proving layout for the housing element. The latter was influenced by a careful analysis of the local context, a best practice urban design approach, and the guidance contained in the council’s Quality Places document. The site is in the process of being sold to a major national housebuilder.